James Mallinson is lecturer in Sanskrit and Classical Indian Studies at SOAS, University of London. Dr Mallinson has a BA in Sanskrit and Old Iranian from the University of Oxford (1991), an MA in South Asian Area Studies (with ethnography as its primary subject) from SOAS (1993) and a DPhil. from the University of Oxford (2001). His doctoral thesis was a critical edition of the Khecarīvidyā, an early text on haṭha yoga, and was supervised by Professor Alexis Sanderson. A revised version of the thesis was published by Routledge in 2007. After completing his doctoral studies Dr Mallinson worked as a principal translator for the Clay Sanskrit Library, for which he produced five volumes of translations of Sanskrit poetry. He has also published translations of two haṭha yoga texts, the Gheraṇḍa Saṃhitā (2004) and Śivasaṃhitā (2007) for YogaVidya.com. In addition to these books Dr Mallinson has published numerous articles, book chapters and encyclopedia articles. Roots of Yoga, a reader of translations of texts on yoga introduced and edited by Dr Mallinson and Dr Mark Singleton will be published in the Penguin Classics series in January 2017. 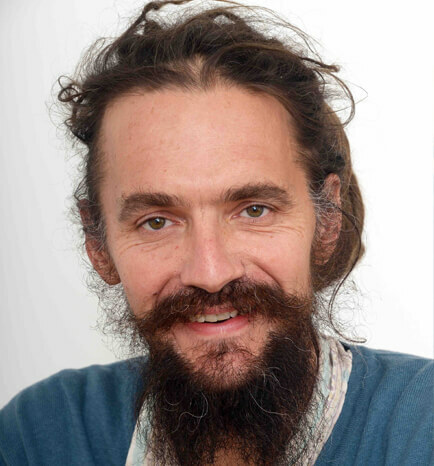 Dr Mallinson’s primary research method is philology, in particular the study of manuscripts of Sanskrit texts on yoga, which he complements with ethnographic data drawn from extensive fieldwork with Indian ascetics and the study of art historical sources. In recognition of his long association with the Rāmānandī Indian ascetic saṃpradāya, in 2013 the order honoured him with the title of mahant, an event recorded in the Smithsonian Channel’s television documentary West Meets East. His work on art historical depictions of yogis led to his being invited to be a consultant and catalogue author for the 2013 exhibition‘Yoga: The Art of Transformation at the Smithsonian Institute in Washington D.C.
More information about Dr Mallinson’s work, his CV and most of his publications may be downloaded from here. 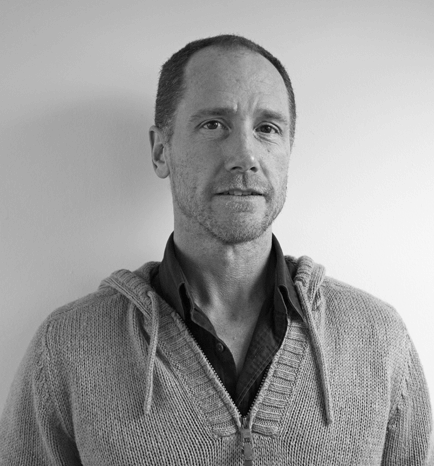 Mark Singleton’s research interests lie in the intersection of tradition and modernity in yoga. He was research assistant to Dr. Elizabeth De Michelis at Cambridge University’s Dharam Hinduja Institute of Indic Research in 2002-3, and went on to complete a Ph.D at Cambridge’s Faculty of Divinity on the modern history of yoga. During this time he also began the formal study of Sanskrit with Drs. Eivind Kahrs and John Smith. He taught undergraduate and postgraduate courses at St. John’s College (Santa Fe, New Mexico) between 2006 and 2013. His books include Yoga in the Modern World (Routledge 2008, ed. with Jean Byrne); Yoga Body, The Origins of Modern Posture Practice (Oxford University Press 2010); Gurus of Modern Yoga (Oxford University Press 2014, ed. with Ellen Goldberg); and Roots of Yoga (Penguin Classics, January 2017, with James Mallinson). He has also written articles, book chapters and encyclopedia entries on yoga. Read some of Mark Singleton’s work. 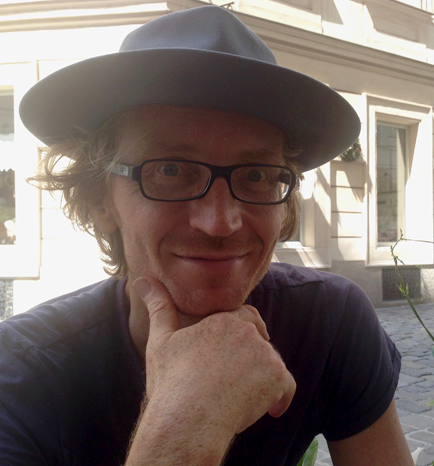 After completing a first class honours degree in Sanskrit and Hindi at the University of Sydney under Dr Peter Oldmeadow, Jason was awarded a Clarendon scholarship to undertake a DPhil in Oriental Studies at Balliol College, University of Oxford, under the supervision of Prof. Alexis Sanderson, All Souls College. His dissertation (submitted 2013) focused on the earliest known Rājayoga text called the Amanaska and included a critical edition and annotated translation of this Sanskrit work along with a monographic introduction which examines the influence of earlier Śaiva tantric traditions on the Amanaska as well as the significance of the Amanaska in more recent yoga traditions. Read some of Jason Birch’s work. 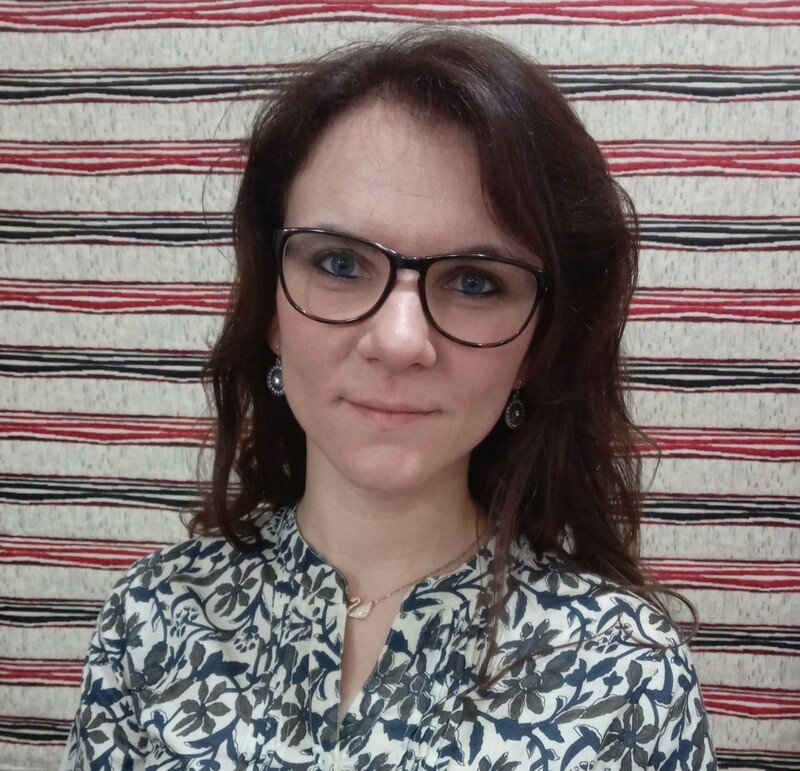 Daniela Bevilacqua is an Indianist who uses ethnographic and historical methodologies to dig into religious issues of Indian culture. In 2006 she accomplished her BA in Oriental Languages at the University of Rome, Sapienza, presenting the thesis Nityasumangali, the ritual and propitiatory role of the Devadasi. In 2009 she completed her MD, specializing in Modern and Contemporary Indian History. Her thesis, Rāmjanmabhūmi: Myth, Religion, History and Politics, analysed historically the origin and development of the Rāmjanmabhūmi issue. On the wave of this work, she decided to focus on the Rām bhakti and especially on the Rāmānandī sampradāya for her PhD. She received her doctorate in 2015 in “Civilizations, Cultures and Societies of Asia and Africa”, supervised by Professor Mario Prayer at University of Rome, Sapienza, and a doctorate in Anthropology at the University of Paris X Nanterre Ouest La Défense, supervised by Professor Véronique Bouillier. Her work based on a multidisciplinary approach titled A Past for the Present:The Role of the Śrī Maṭh and the Jagadgurū in the Evolution of the Rāmānandī Sampradāya. Through this work, she came to know Dr Mallinson, who asked her to join the HYP team due to her ethnographic work among ascetics. Her role in the project is to collect, through fieldwork, historical evidence of yoga practice and ethnographic data among living ascetic practitioners of yoga. 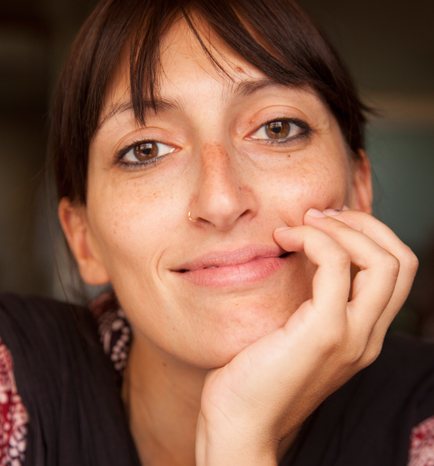 Read some of Daniela Bevilacqua’s work. Dr. S V B K V Gupta works on unpublished Sanskrit manuscripts, Yoga and Pāṇini’s grammar. He holds a doctoral degree in Sanskrit from Pondicherry University. Prior to that, Dr. Gupta also completed his M.Phil in Śābdabodha Systems & Language Technologies from the University of Hyderabad. He worked on the doctoral thesis “A Critical edition of Kumāradāsa’s Jānakīharaṇa (Up to 7th Canto)”, under the supervision of Dr. K E Dharaneedharan. It is a Mahākāvya critically edited up to 7th Canto (until Janaki’s marriage). He also worked as a researcher for the ANR, France sponsored project: “Pāṇini and Paninéens in the 16th and 17th centuries (pp16-17.org) ”, under Prof. Jan E M Houben. He edited a book Viz. Kāvyadarpaṇa of Rājacūdāmanidīkśita (I & II ullāsas). He also published several research articles in the field of Sanskrit in reputed national & International journals. Dr. Gupta delivered a guest lecture at the University of Sorbonne, Paris. He is also an editorial board member of International Journal of Indian Languages and Literature. Currently Dr. Gupta is working as a Post-Doctoral Researcher for the ERC project on Haṭhayoga for SOAS, London University from EFEO, Pondicherry, India. 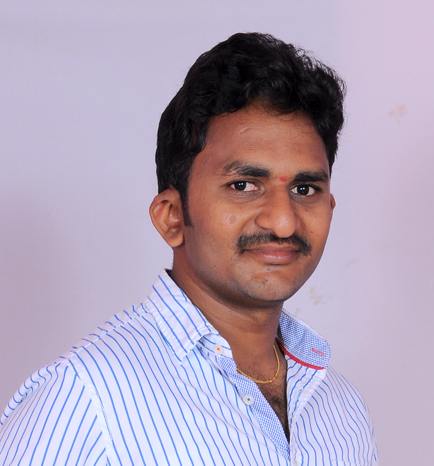 His role is to locate, transcribe and research manuscripts of Sanskrit yoga texts in South Indian libraries, under the supervision of Prof. Dominic Goodall, Dr. James Mallinson, Dr. Jason Birch and Dr. Mark Singleton. He is also collaborating with Dr. Jason Birch on an edition and translation of an unpublished text called the Yogārṇava. Ramya Rajagopal is a research assistant at the École française d’Extrême Orient, Pondicherry India. Ramya has been typing electronic texts of various Sanskrit works on Yoga for the Haṭha Yoga Project since June 2017. Her previous research roles include data preparation for the Digital Tevaram Project (IFP/EFEO); preparation of electronic data for two volumes of the Pāṇinīyavyākaraṇodāharaṇakośa (IFP/EFEO) and working in the Publication Division and Library of the French Institute of Pondicherry. Eloisa Stuparich is a Ph.D. graduate in Asian Literatures, Religions, and Cultures from Cornell University. Her dissertation Treading the Frontiers of Hinduness: Yogi Naraharinath in 20th century Nepal explores the intellectual work of Yogi Naraharinath (1915-2003), former mahant of the Nāth maṭha of Mrigasthali in Kathmandu. After a summer as a SSRC Research Fellow at the University of Göttingen, she has traveled back to Nepal to research the new bibliographic collection recently made available by the Yogi Naraharinath Memorial Library. She is currently preparing for publication her first monograph, revising her dissertation on the basis of the new materials. Her role in the project is to locate and research the Gorakṣagranthamālā series published by Yogi Naraharinath.